Recent research suggests that it can take a young person about 18 years to put together the downpayment on their first property - although the Bank of Mum and Dad can hurry the process along. But, Iona Bain, founder of the Young Money blog, says Help-to-Buy Isas are on the way out, due to the the fact they won't be available to new savers after November 2019, and to the introduction of the Lifetime Isa. She said: "Depending on your point of view, Help-to-Buy Isas were either a boon or an impediment to young people. For some, it was a groundbreaking product that provided a boost to first-time buyers, and the first sign of a government taking young people's financial goals seriously. "For others, it was a cynical giveaway for those who could already afford deposits, pushing up demand and propagating a broken housing system." The government lends up to 20% of the cost of a newly built property - or 40% within Greater London - so buyers need only a 5% deposit and a 75% mortgage to buy it. Those purchasing a new-build home aren't charged interest for the first five years, either. 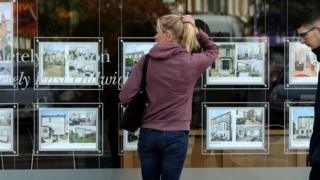 Paula Higgins, chief executive of the Homeowners' Alliance, said: "Although Help-to-Buy has enabled a whole generation of buyers who did not believe they had a chance of getting on the property ladder to aspire to home ownership, it has also benefited those who would have been in a position to buy anyway. "The difficulty with the scheme is no thought was put into the next step. These buyers can't sell their homes to first-timers when they want to move on because those first-timers still need the equity loan to buy, [as the loans are] only available on new-builds. We need to think about how Help-to-Buy is dampening newly built second-hand sales." Research by investment bank Morgan Stanley in 2017 also suggested that increasing demand for new-builds following the scheme's introduction has pushed up prices. Over time, occupiers can "staircase" - buy a bigger share of the property when they can afford to - until they own 100% of it. In England, the eligibility criteria are that the purchaser is a first-time buyer, or someone who used to own but can't afford to now. Annual household incomes need to be below £80,000, or £90,000 in London. In 2017, the chancellor announced that stamp duty - the tax applied when people buy properties above a certain value - would be scrapped for most first-time buyers. That was extended to include shared-ownership schemes in 2018. Independent property expert Henry Pryor told BBC Reality Check there were several criticisms of shared ownership, including the fact that until you own 100% of the property, you're treated as a tenant in law, which could mean you lose your property if you don't keep up the rental payments. People also normally have to pay a maintenance or service charge on the whole value of the property - and buying a larger share can be expensive. The starter homes will generally be built on brownfield sites - land previously used for commercial or industrial purposes - although construction hasn't begun yet. Housing minister Kit Malthouse said: "We are determined to restore the dream of home-ownership for a new generation, and last year saw the highest number of first-time buyers for over a decade. "Starter homes are part of this mission to build more, better, faster but it's important we get them right. "We are working with the industry on the next steps as we move forward with development."